There’s one more topic we need to cover before we discuss how to use the analysis features in the Fritz family of playing programs (Fritz, Rybka, Hiarcs, Shredder, and Junior) to actually improve our play: how do we get games other than ones we’ve played against the computer into a database for analysis? I was reminded of this subject by an e-mail the other day from a user who plays a fair bit of online chess at a site which furnishes him with a gamescore after each game, a gamescore which is sent in Portable Game Notation (PGN) format. 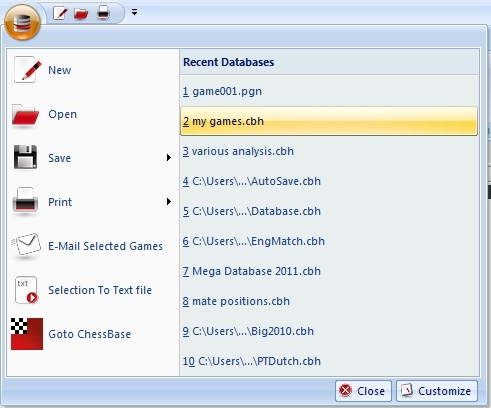 He asked how to add each game to a database. 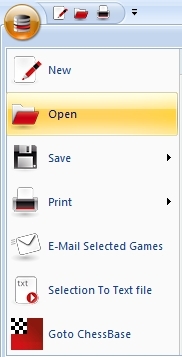 It can be done in Fritz/Rybka, but it takes several steps, and you’ll also need to know a little something about computer files and folders. Note I said “a little”, and you can easily learn it by clicking on the link I’ve provided in the right-hand sidebar of this blog. 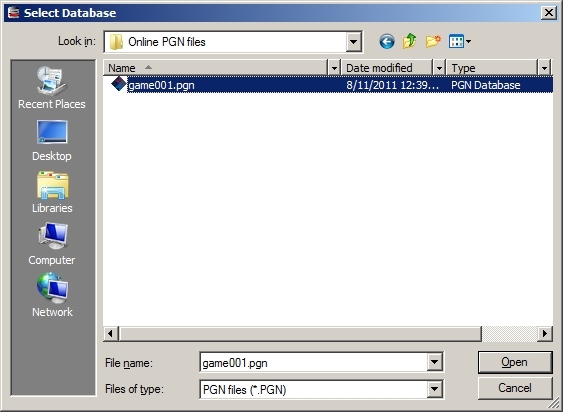 The first step is to create a new database into which you’ll copy your PGN games, to keep them separate from the large database which comes with the software. 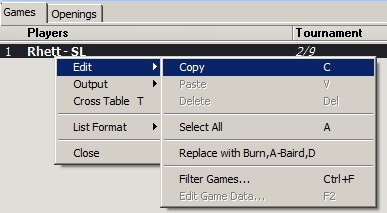 You don’t have to do this; you could easily store the games as part of the larger database if you want to, but most players’ preference is to store the games in a “personal” database. 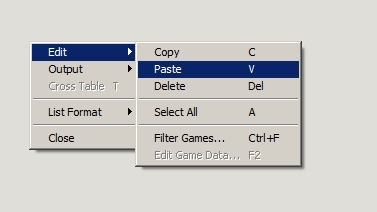 You’ll need to do this just once, not every time you want to copy a game – the database you just created can hold a (theoretically) limitless number of games (the practical limit, of course, being available hard drive space). 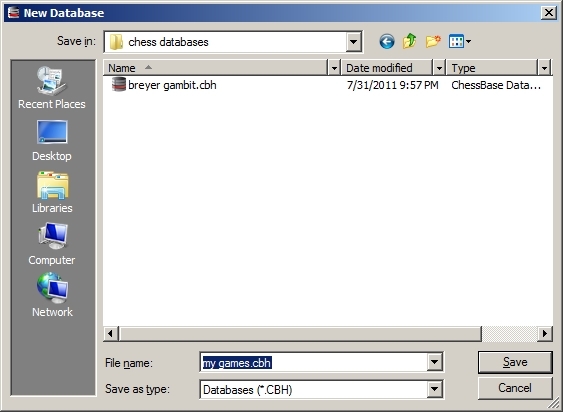 Notice that you’ve copied a game from a PGN database into a ChessBase-format database. 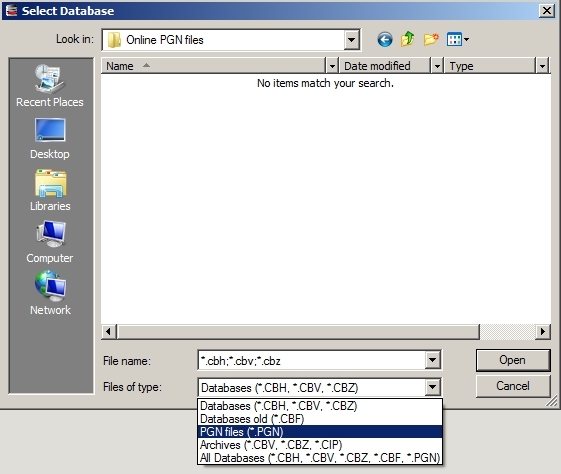 That’s how you “convert” a PGN database into a ChessBase-format database: you just copy the games from the PGN database into one in ChessBase (CBH) format.